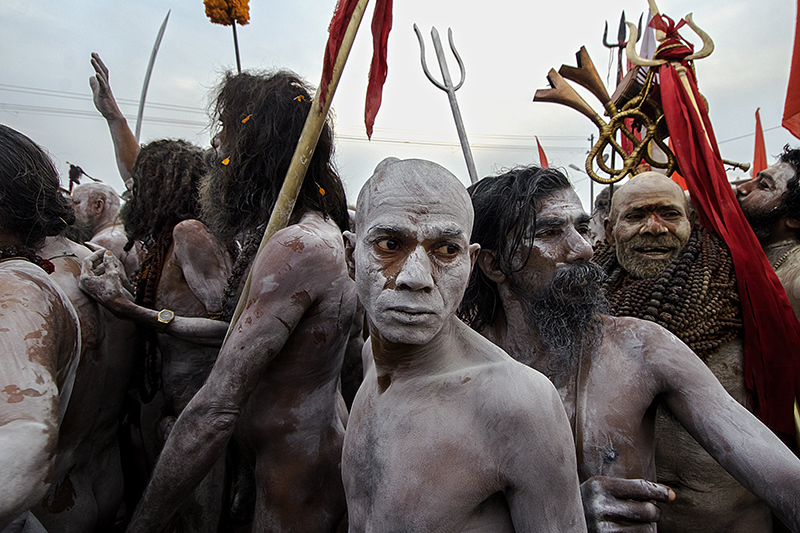 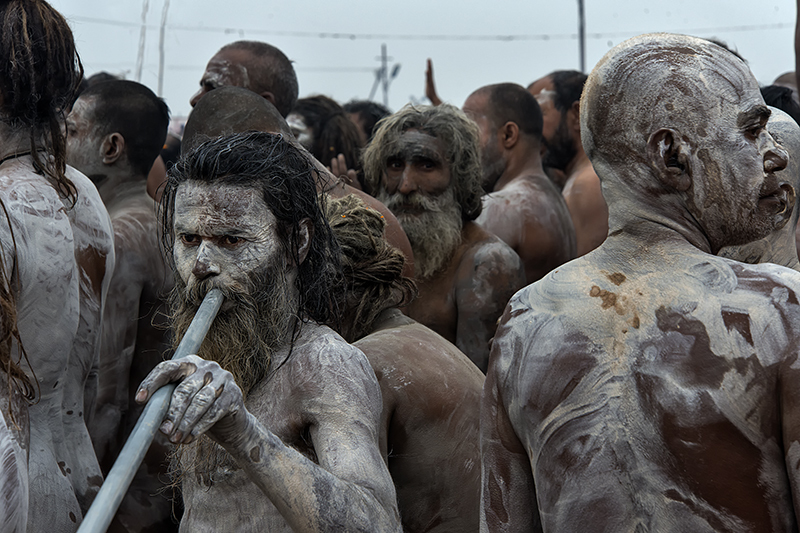 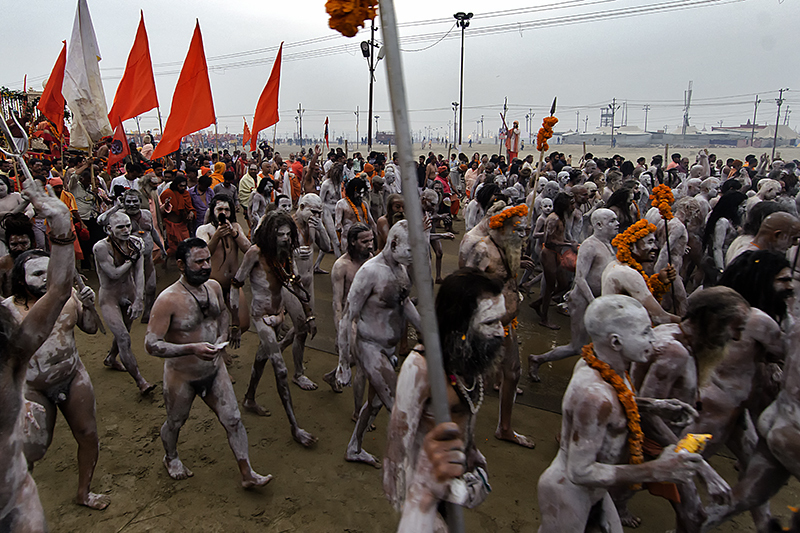 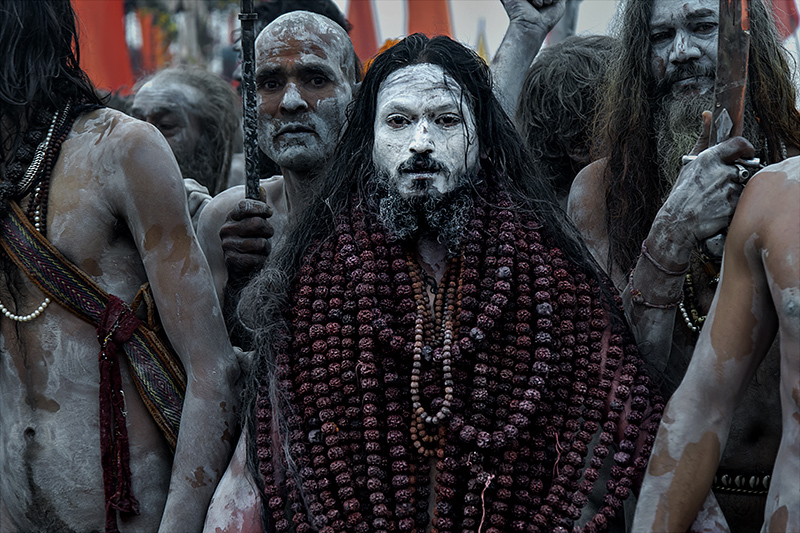 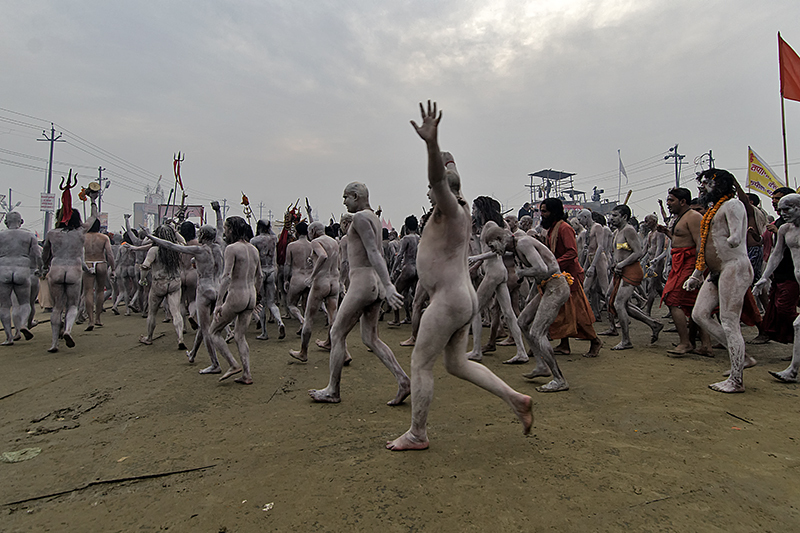 Kumbh Mela is a mass Hindu pilgrimage of faith in which Hindus gather to bathe in a sacred river. 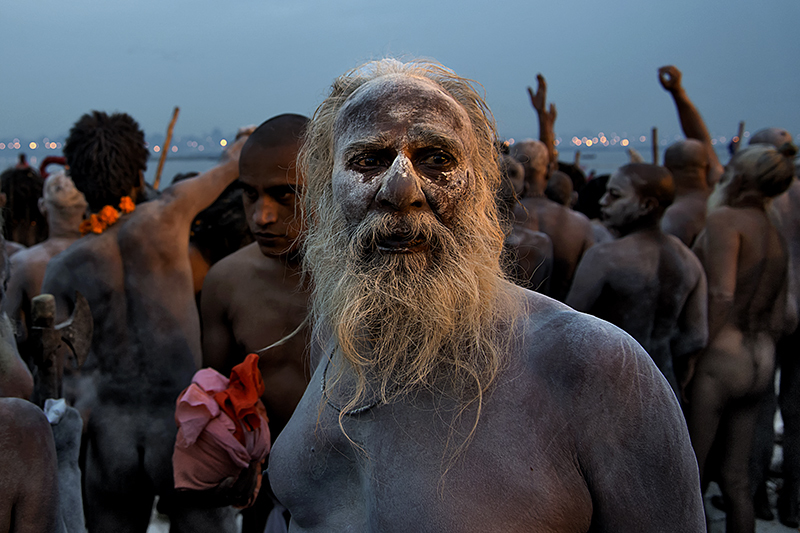 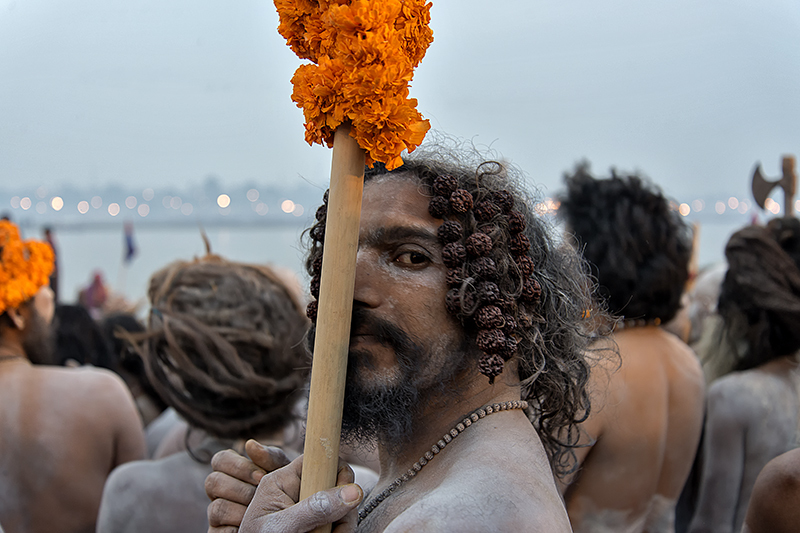 It is the world's largest religious gathering and in 2013 80 million people took a holy bath at Sangam where the waters of the Ganges, Yamuna, and mythical Saraswati River converge. 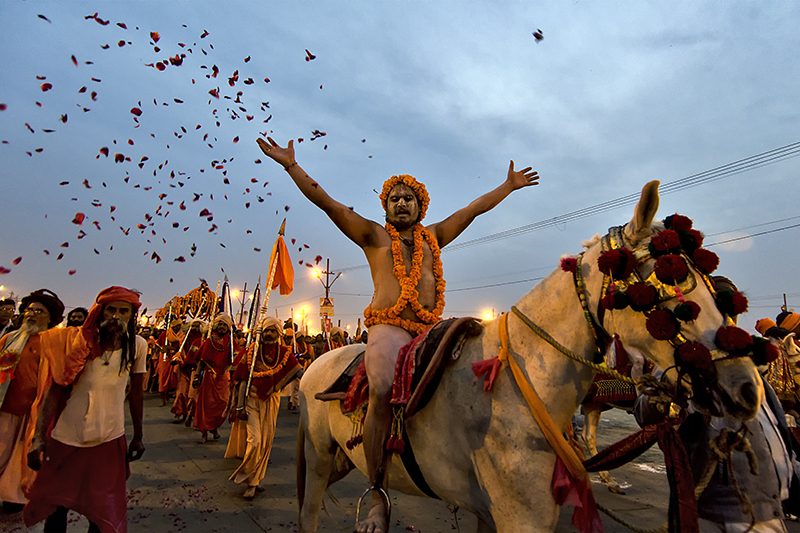 The festival is billed as the "world�s largest congregation of religious pilgrims". 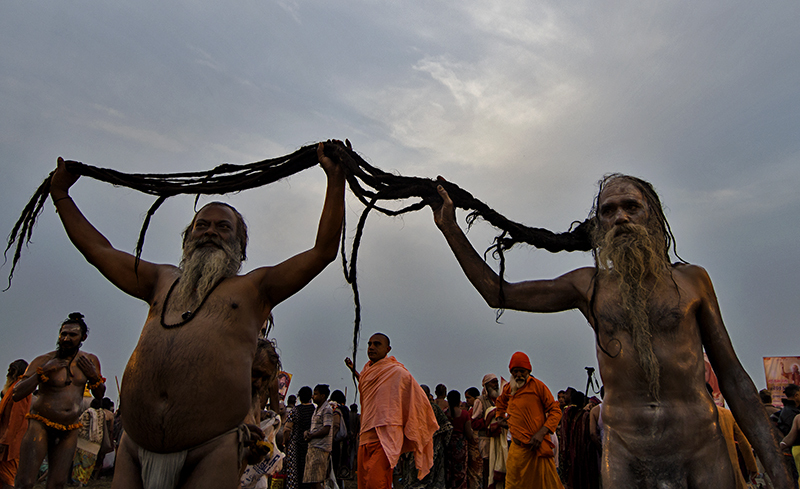 According to our holy texts, it is at Sangam that the htree rivers Ganges, Yamuna, and Saraswati River converge. 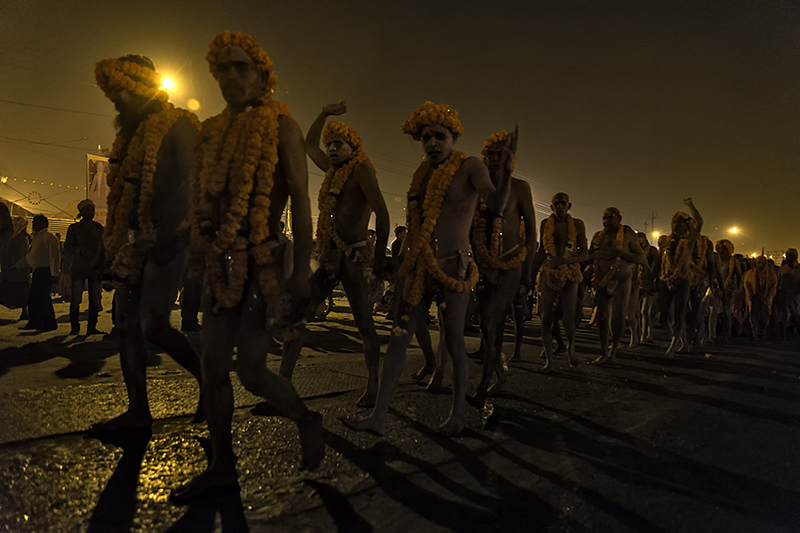 The story is that Gods or Devtaas and the Demons or Asuras had a mighty war over the possession of Amrita � elixir of eternal life. 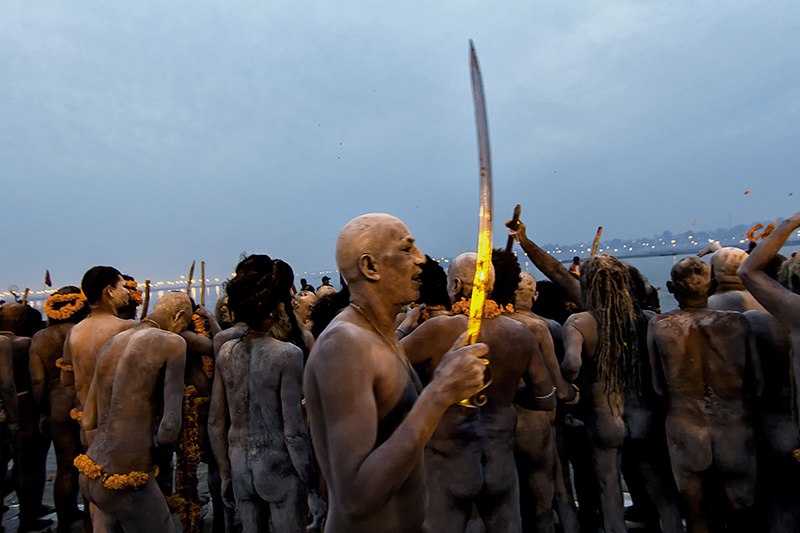 During their struggle, few drops of amrita had fallen on to four places that are today known as Haridwar, Ujjain, Prayag, and Nasik The biggest drop fell in the river at Prayag, Allahabad. 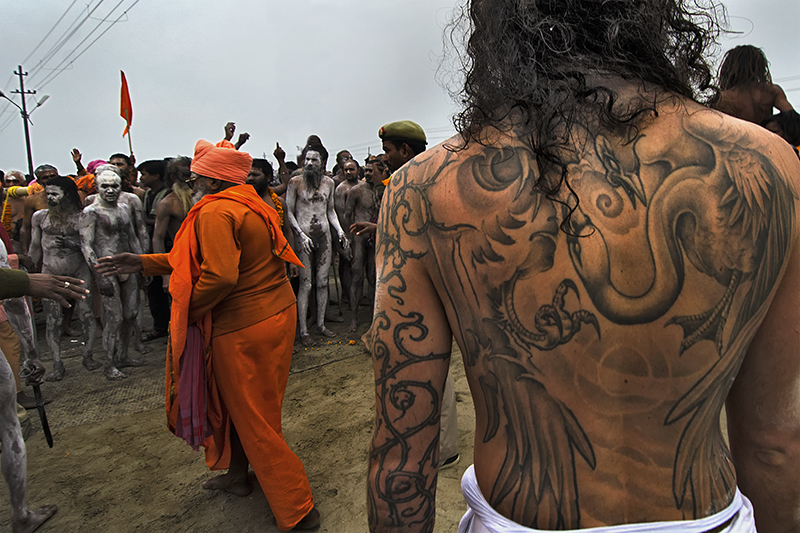 Hence, it is of utmost importance. 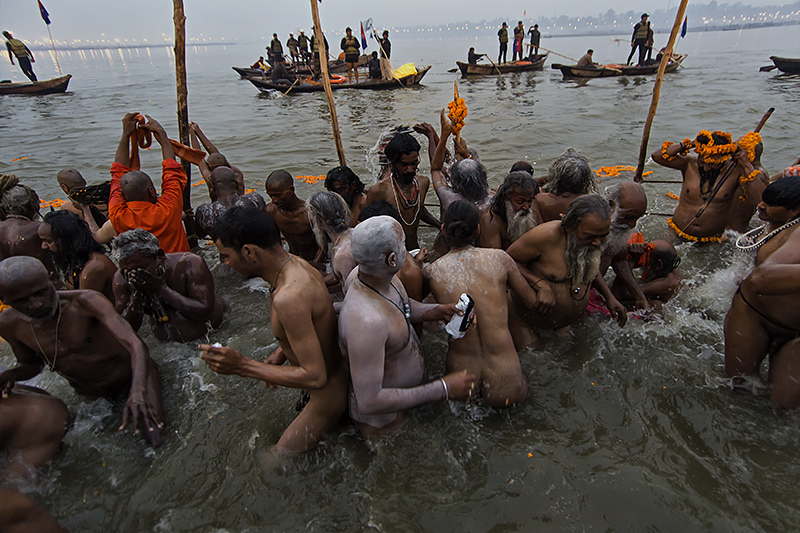 It is believed that the gods still come down and bathe at the Sangam to restore their immortality. 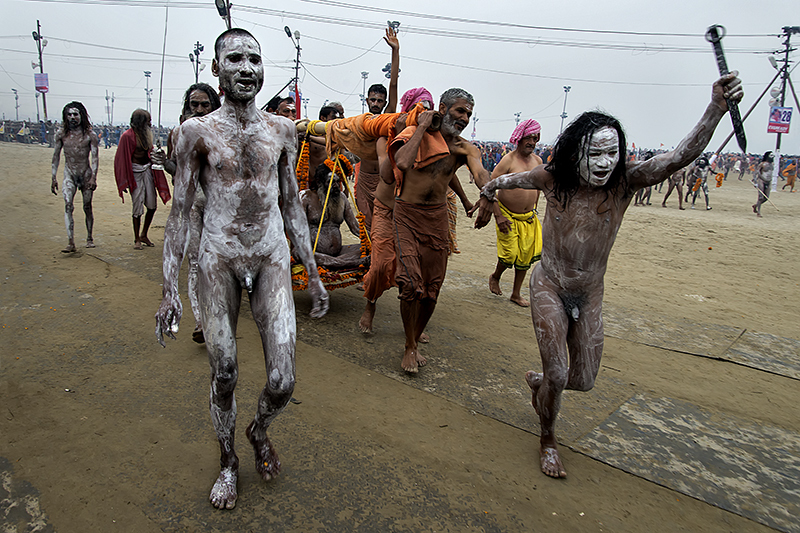 It is said that if someone takes a holy dip at Sangam during a proper time, they can attain �Moksha� (freedom from the cycle of reincarnation). 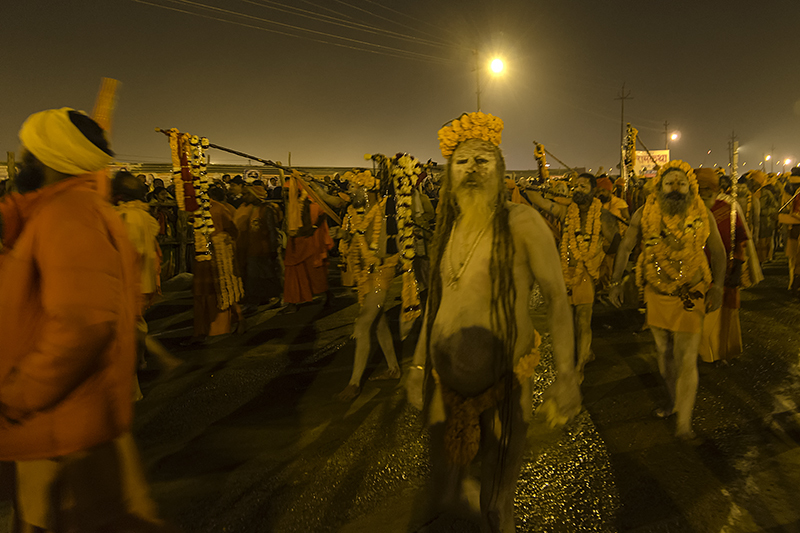 It will liberate them from their continual sufferings and miseries. 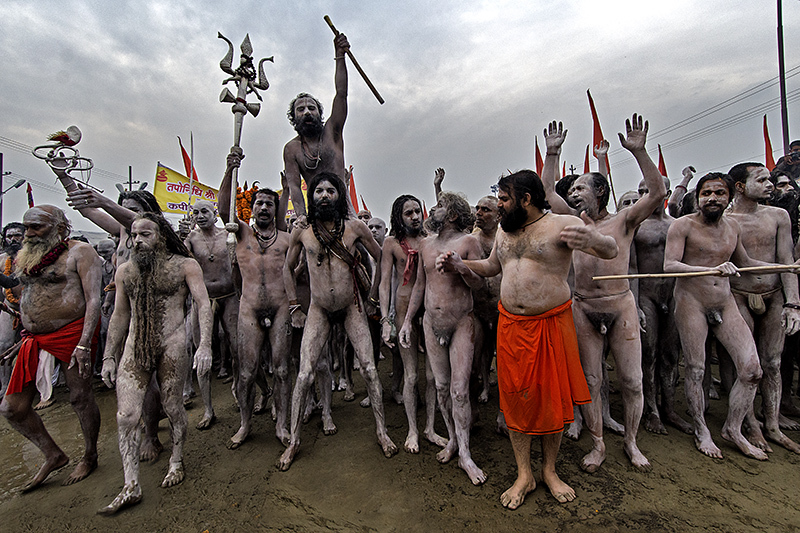 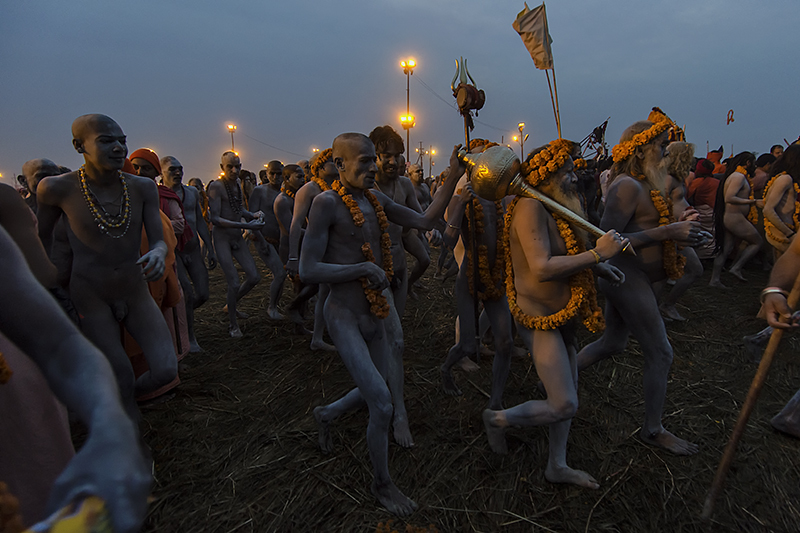 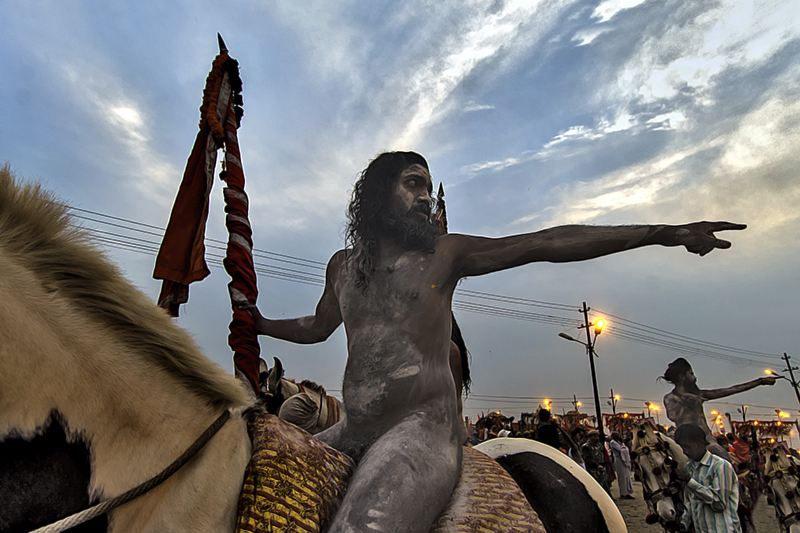 So what exactly is Maha Kumbh? 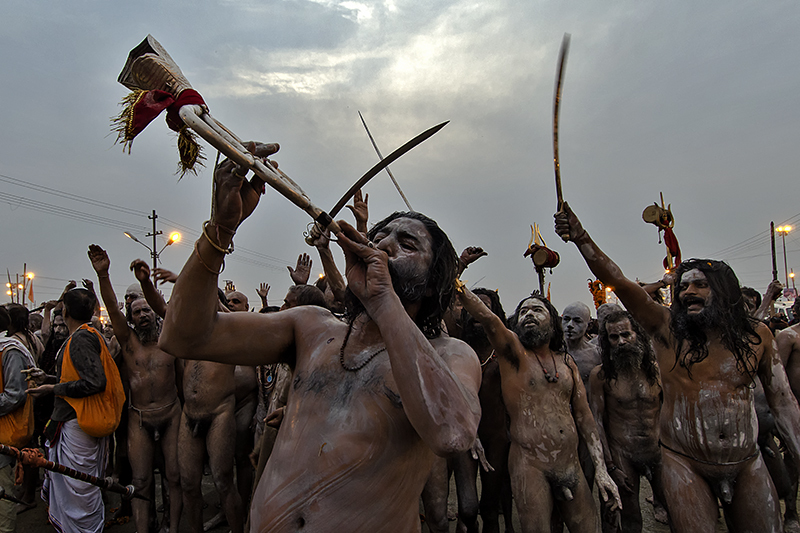 Kumbha represents pitcher or Kalash that is symbolization of all that is present and all that exists. 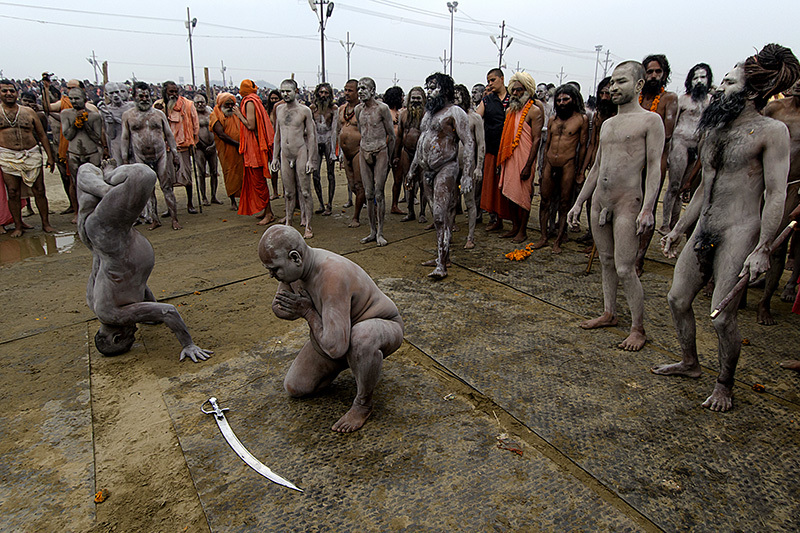 According to the Hindu scripts, the �Tridevas� viz. 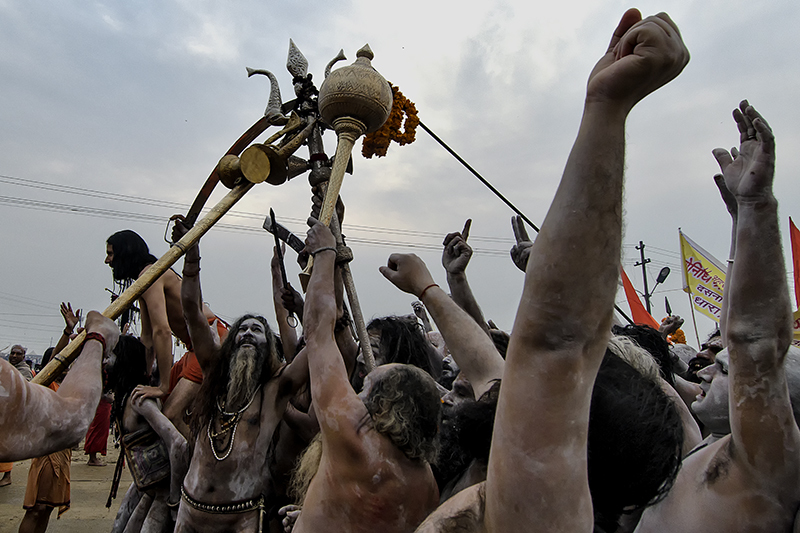 Brahma, Vishnu and Shiva; all goddesses, including Mother Earth and the knowledge of our four Vedas (Rig Veda, Sama Veda, Yajr Veda and Atharav Veda) exists in this Kumbha. 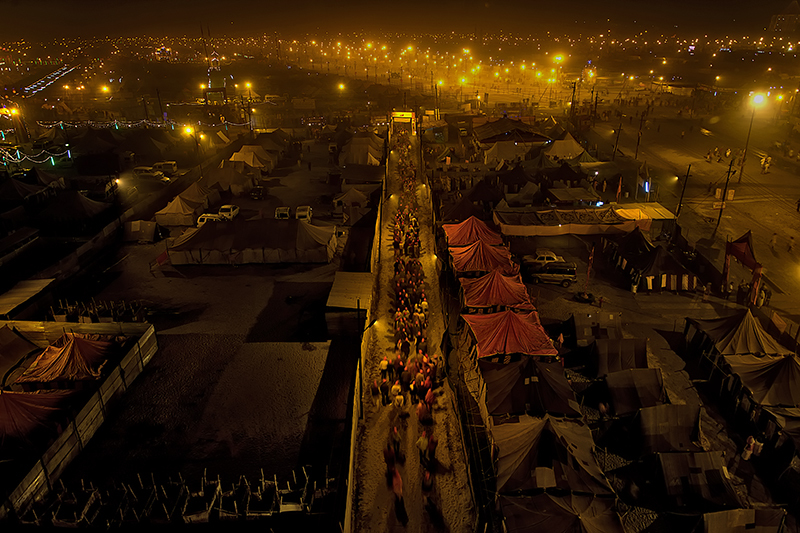 Therefore, Maha Kumbh is a celebration of all Vedas and all lives.